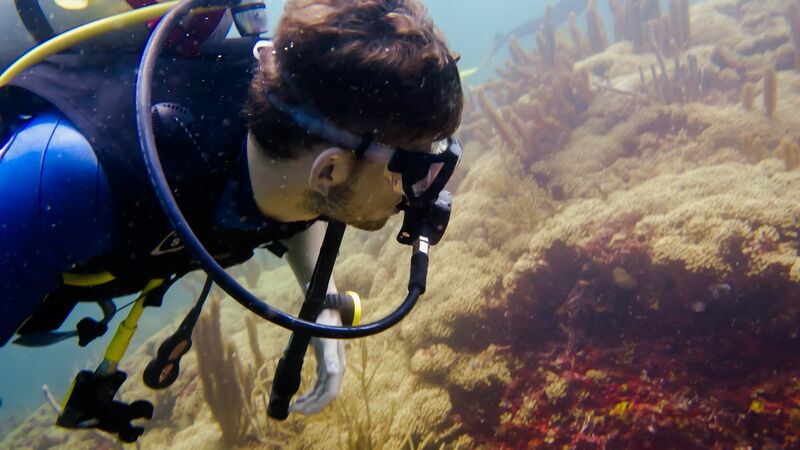 Become a volunteer with Caribbean Reef Buddy and take an active part in our marine conservation projects. Conservation with us is all about having fun while learning to appreciate the marine environment and getting actively involved in activities that will help preserve our oceans and promote environmental awareness. Throughout our work our aim is to inspire people and lead by example, encourage environmental awareness and individual development. We are proud that people who come to volunteer with us leave as friends! 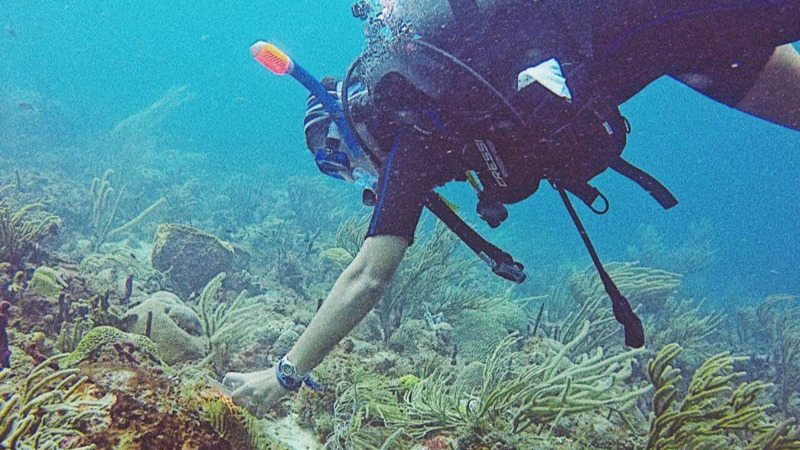 Ongoing Caribbean Reef Buddy projects you can volunteer for. Reef survey dives provide continuous data on biodiversity and the long term health of the reefs thus helping inform decision making in regards to how reef areas are used and protected. 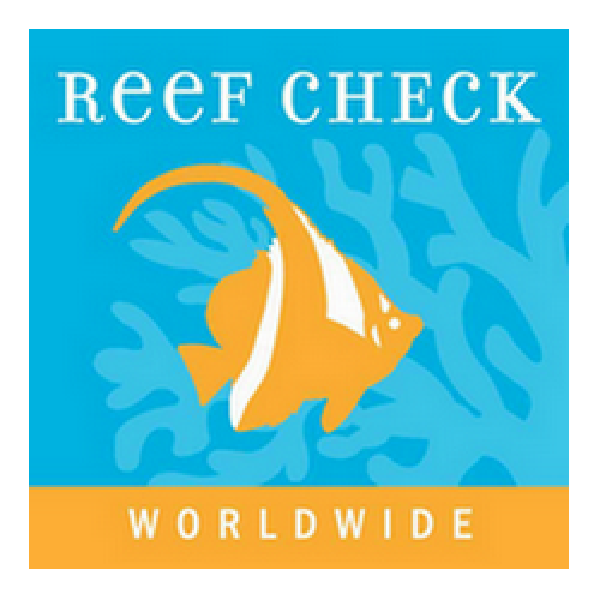 Volunteers help to gather and submit data using ReefCheck methods. 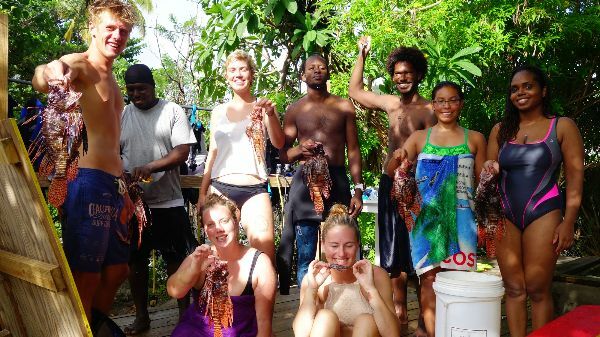 To date the Carriacou Lionfish Containment Program has helped to remove over 1500 lbs of invasive lionfish from local reefs. 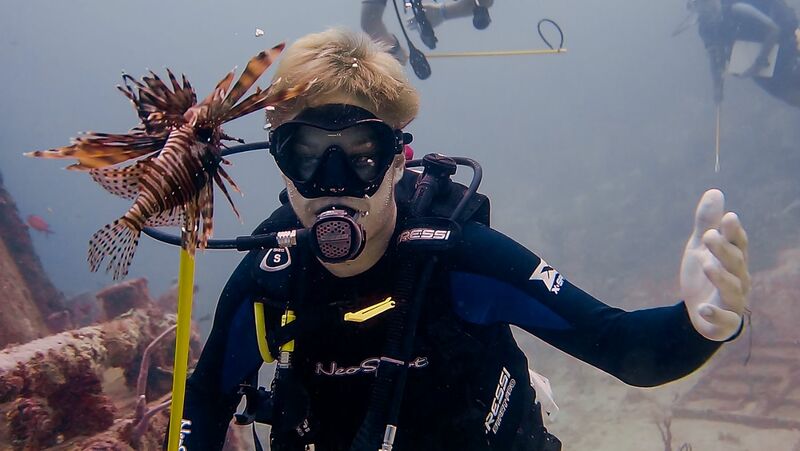 Invasive Lionfish Containment is an ongoing all year round activity supported by our volunteers, and every month we . July 2018 saw the establishment of Caribbean Reef Buddy's new elkhorn coral nursery at Jack A Dan. 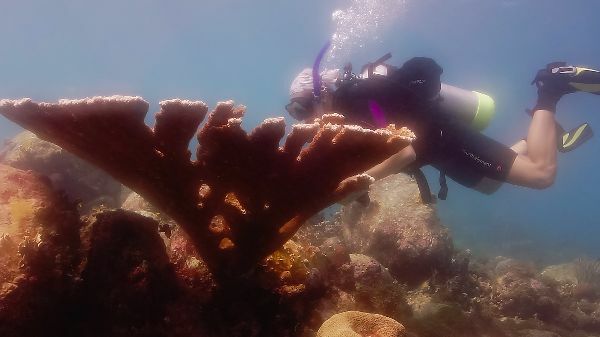 Volunteer help is needed to clean & maintain the coral nursery tables, check on coral fragment health, and help with the eventual coral outplanting on Carriacou's reefs. I spent 8 weeks improving my diving skills from Open water all the way through to Divemaster whilst completing a plethora of specialties on the side (Fish I.D., Nitrox, Deep, Lionfish Containment and Coral Watch). The easygoing yet experienced staff made adapting the program to my personal preferences incredibly easy and their good sense of humour and banter made for a very pleasant and fun experience. I found the accommodation to be perfectly fine and all meals provided were more than enough to satisfy a hungry diver! On top of all of this the incredible diving experience. is underscored by a strong and coherent environmental effort by the entire team, doing their utmost to protect the wildlife they love so much! Overall I would thoroughly recommend this program to those who are looking for a bit of an adventure within the relaxed comfortable lifestyle of a Caribbean island; utter paradise! I cannot express how much I loved my time during the Caribbean Reef Buddy Program! I came into the program with no experience with being under water and in no time I was diving alongside the other volunteers without any trouble. Within my four weeks, I gained a number of certifications from PADI Advanced Open Water to Caribbean Lionfish Containment. The staff is extremely experienced in diving and their dedication towards marine conservation is amazing. The island itself is quite literally paradise. From beautiful beaches to stunning dive sites, every moment feels like a picture from a postcard. The locals are extremely welcoming, making the island feel like home. I could keep raving about this program but I'll keep it simple by saying that the only downside of my experience is that I was not able to stay longer. 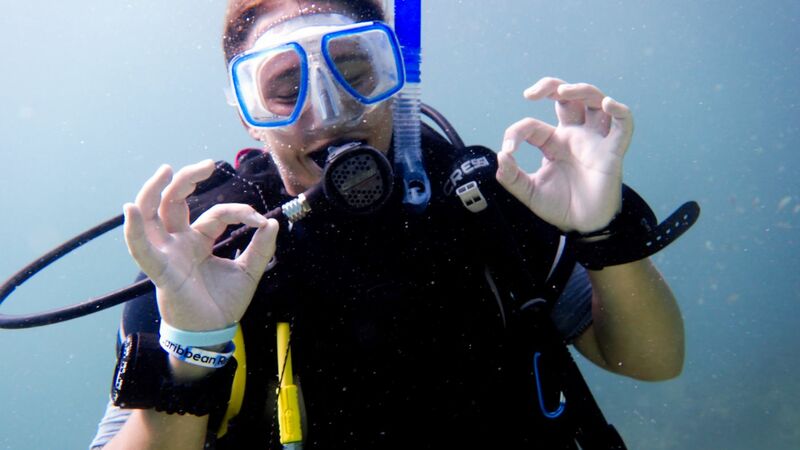 If you are looking for a program to begin diving, learn more about marine conservation or make amazing memories then this is the program for you! The Divemaster course that CRB offer is undeniably an extraordinary experience. From gaining multiple PADI qualifications to helping take care of the delicate ecosystem myself, it was a truly unique and rewarding experience. As well as being under the water, there are plenty of other activities offered above it, climbing the highest peak on the island, having a beach BBQ, or heading up to Tobago Cays (where we found Baby Blacktip Reef Sharks!). The Divemaster course is spread out over a very manageable 3 weeks, so there is room to change plans around if need be, and the tuition received from all of the team at CRB has made me a far far better diver. Inevitably, the island got under my skin and it didn’t take long for me to extend my stay to 3 months. Carriacou - a true tropical paradise, is free of chainstores, huge supermarkets or any urbanisation. The locals (known as Kayak’s) encourage a safe and friendly atmosphere, making your stay more relaxing and even more enjoyable. The program was remarkable. Not only is the island peaceful and remote but very welcoming with outstanding weather--a true paradise. The wildlife is spectacular and everywhere for you to see. The crew is more than helpful with any questions, problems or accommodations that you might have as well. At first when I selected the 8 week divemaster program I thought it might be a little too long of a stay but after the first week of staying at the magnificent John's Unique Resort and getting comfortable with the island, I knew 8 weeks was not going to be enough! The people, wildlife and geography is truly what makes Carriacou such a wonderful place to visit. I look forward to coming back in the future! 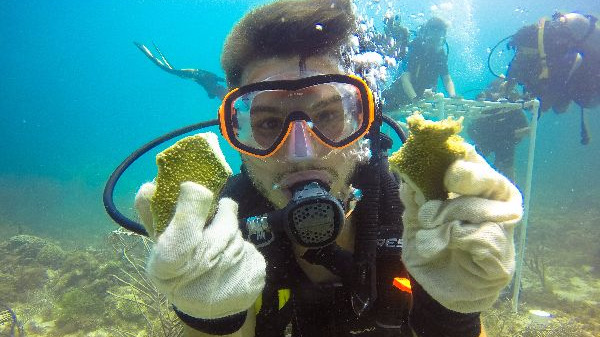 I did a ten week internship at Caribbean Reef Buddy. I learnt a lot about reef monitoring, fisheries, the island life and ofcourse diving. During my internship I did the 8 week program for my dive master certificate. The staff is very friendly and skilled. They make you feel at home which makes the course more fun. It doesn't matter if your a confident diver or a bit unsure, they can help you step by step. I had a lot of fun with the other volunteers. We did fun stuff after the dives like going to nice beaches and in the evening going out for drinks and playing pool. I can't wait to go back for some diving, fun and maybe an instructor course! During the month of June 2016, I spent my time on the most incredible island, Carriacou, volunteering with Caribbean Reef Buddy. Having never dived before, I was petrified when we took to the clear and warm Caribbean ocean and I had my first breath underwater. However, with CRB, I was so secure and comfortable that my confidence with diving increased minute by minute. 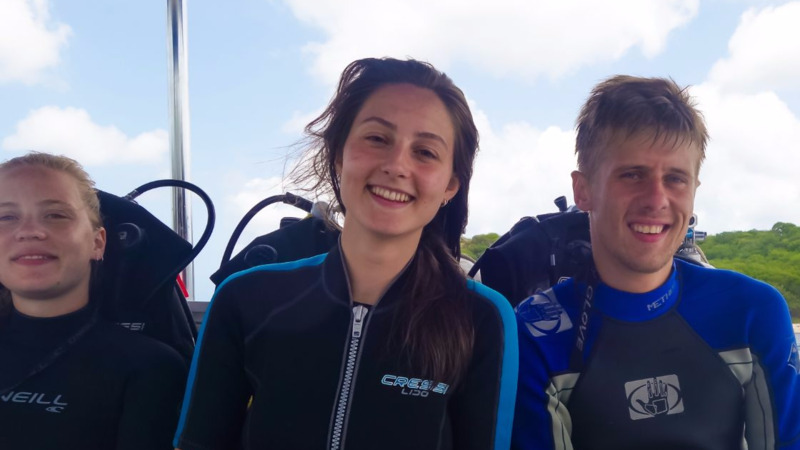 Gary and Katlynd (who trained us to become Advanced divers) were so amazing to work with, as they were patient, trustworthy and so enthusiastic, making every activity as enjoyable as the last. 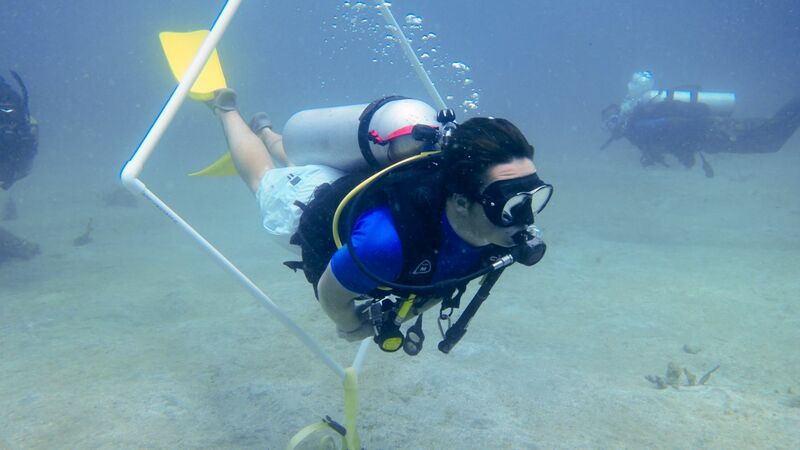 Throughout my time with CRB we had the opportunity to gain several certifications, from the Open Water Advanced PADI to the Lionfish Containment Diver. Each day presented itself with something new and exciting, as each dive was different and so unique. The sights I have seen and the experiences I have had are incomparable to anything I have ever done before, and I am so glad I was able to share that with so many great people. Matt, Katlynd, Gary, Alex, Josh and Andre were so welcoming and were like a family, who created a very special dynamic between the group, that I miss so much but will treasure forever. CRB is, without doubt, the best volunteering program out there and I would recommend it to everyone! Genuinely, the only bad thing is that I couldn’t stay forever!